The JFR’s European Study Program to Germany and the Netherlands was exceptional. The design and flow of the study program provided each of us the opportunity to explore and understand different aspects of the Holocaust in greater depth. We met at the Frankfurt airport and traveled to Bad Camberg where we met Ann Mollengarden (Lerner Fellow 2003), from the Birmingham Holocaust Education Center in Birmingham, AL. Ann’s father’s family was from Bad Camberg. We met with Dr. Peter Schmidt, a local historian, who guided our group through the small town and provided history of what happened to both Ann’s family and the Jews of Bad Camberg during the Holocaust. We ended our first day at the Fritz Bauer Institute where we met with Professor Dr. Sybille Steinbacher, the Director of the Institute, and several members of her staff. We discussed Holocaust education in Germany at both the high school and university levels and we learned about the work of the Fritz Bauer Institute. The next day we explored the Holocaust memorial to the Jews of Frankfurt. Professor Hayes gave a lecture on the horror of the round-up and deportation of Frankfurt’s Jews. We then traveled to Speyer and Worms, two of the three towns where Jews initially settled upon their arrival in Germany. During our visit with Dr. Susanne Urban, Managing Director of the ShUM Cities of the Rhine, which includes Speyer, Worms, and Mainz, she provided a grounding in the beginnings of the Jewish community in Germany. Dr. Urban gave background on the synagogue and the Jewish cemetery as she walked our group through Worms. Our visit to Speyer and Worms provided a firm base for an understanding of the development of Jewish life in Germany. We traveled to Weimar, Buchenwald, Dora-Mittelbau, Westerbork, and Amsterdam. Each of these sites added different layers to our knowledge of camps – concentration, slave labor, and transit. Each site was distinct and different. 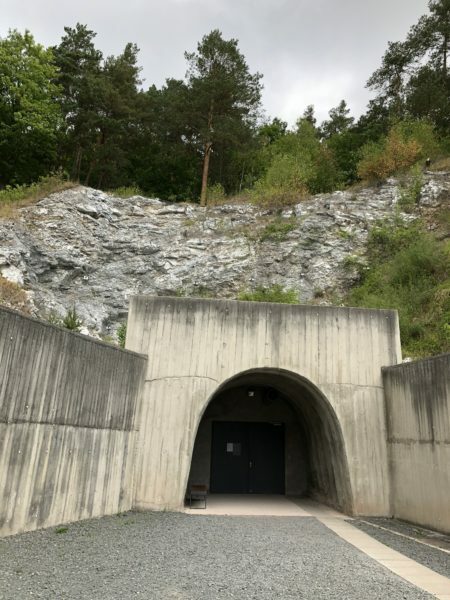 Perhaps Dora-Mittelbau was the site that impacted the group the most. 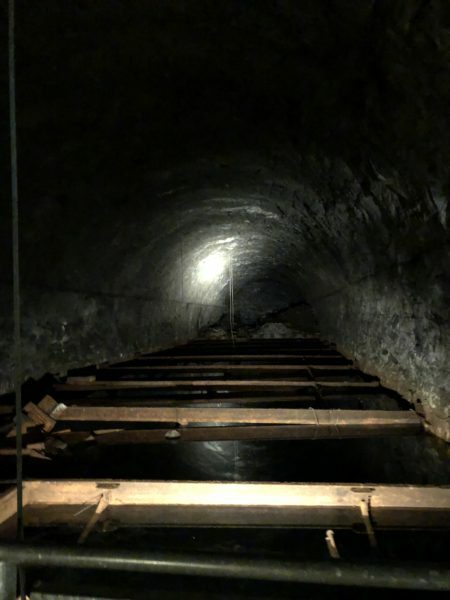 While one can describe going into the tunnels, words do not do justice to one’s feelings and personal experience. Dr. Stefan Hördler, Director of the Dora-Mittelbau site, spent the day with us and provided detailed background on the slave labor facility and the other sub-camps in the area. 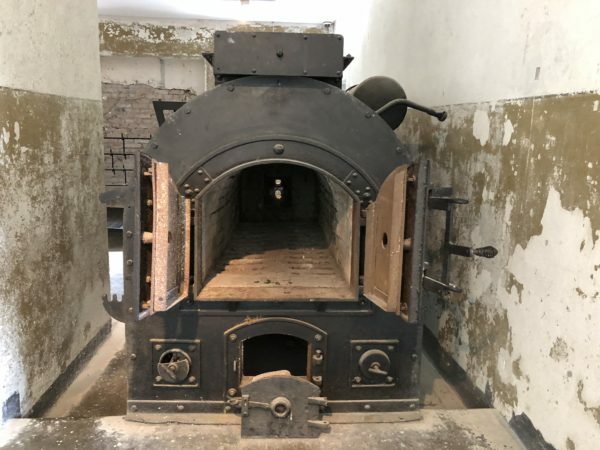 The mortality rate at Dora-Mittelbau was higher than at most other concentration camps; the average life expectancy of a new inmate was six to eight weeks. Part of our Study Program followed Anne Frank’s journey during the Holocaust. She was born in Frankfurt in June 1929. We saw the small steel blocks for Anne, Margot, and their mother at the Holocaust Memorial Wall in Frankfurt near the Judengasse Museum. The Frank family fled Germany in 1933 for Amsterdam. We went to the Frank home in Amsterdam and to the Secret Annex attached to her father’s factory in Amsterdam. 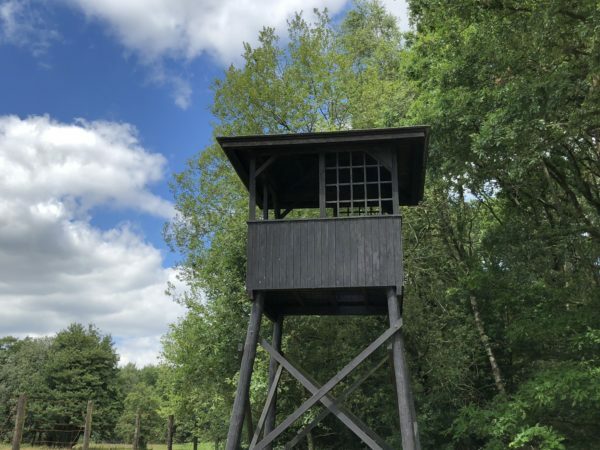 We went to Westerbork, to the site of the punishment block the Frank family was placed in upon their arrival in Westerbork, and we were in Bergen-Belsen where Anne and Margot died of typhus before the British liberated the camp on April 15, 1945. This study program did not visit Auschwitz where Anne and the others in hiding were deported to from Westerbork. However, this part of the Study Program afforded participants a deeper understanding of how life was for Jews trying to survive during the Third Reich. We look forward to hearing from our Study Program participants over this coming school year to see how they have incorporated their time in Germany and the Netherlands into their Holocaust unit of study. 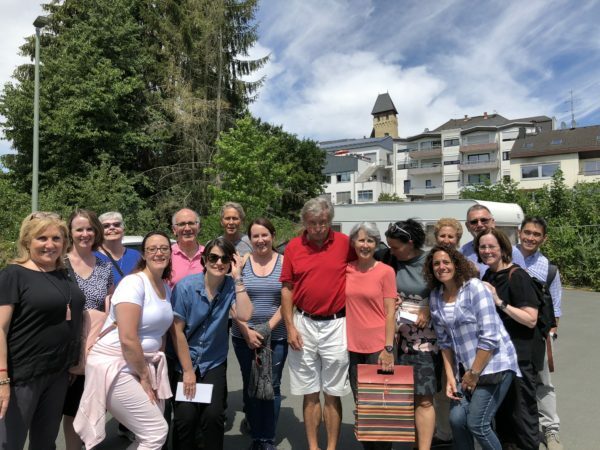 JFR 2018 Study Program Participants in Bad Camberg with Dr. Peter Schmidt, in the middle. 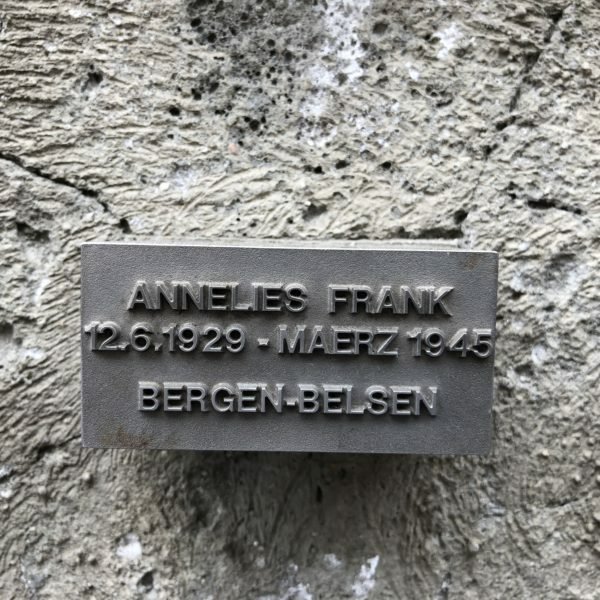 Anne Frank Memorial Block – Frankfurt.